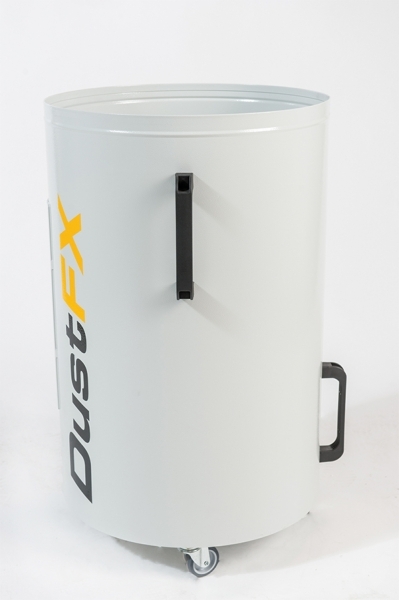 Dust collectors are generally measured by CFM of air flow and “static pressure” (water lift). 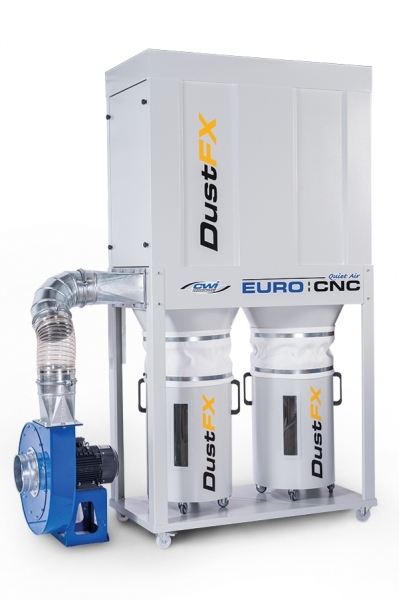 Typical dust collectors have difficulties with CNC because the cavity where dust is being made is really very wide open, not contained like a tablesaw or thickness planer. 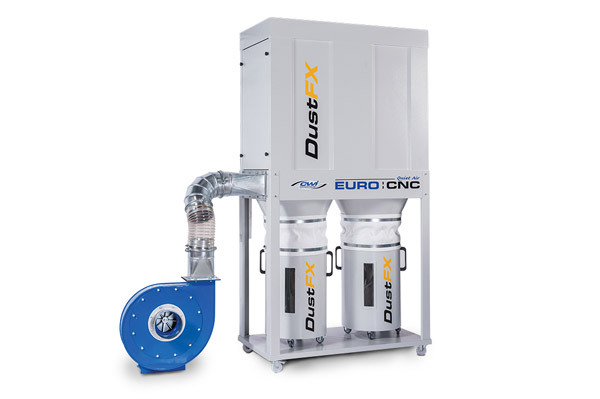 Even though a dust collector may have a high volume of air movement (CFM) the “pulling pressure” may not be strong enough to collect the dust from a large opening like found on CNCs. 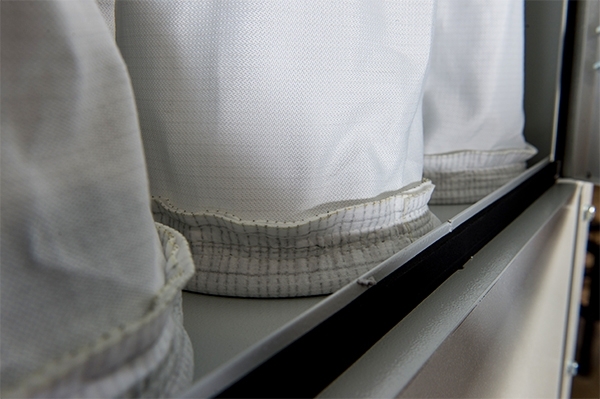 On an edgebander, the dust collection inlets are typically smaller diameter which “cuts off” the normal flow of CFM. 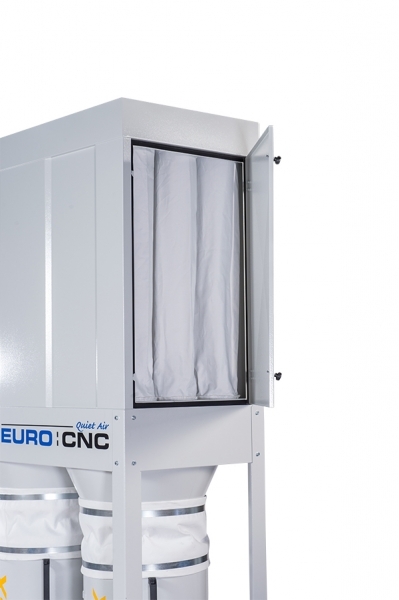 By dramatically increasing the pressure of the air flow (which does not necessarily mean an increase in CFM) the Euro:CNC is able to properly pull the dust into the piping and back to the collection bins. 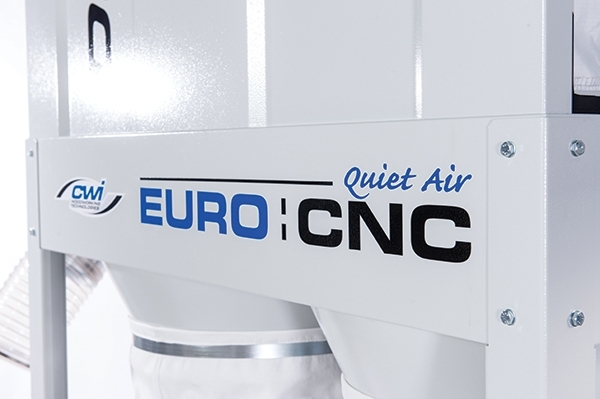 The QuietAir Euro:CNC is manufactured in Italy with a specially designed impeller, housing, filter media and electrical system to provide an efficient, quiet and easy-to-use machine. The impeller design with a 5.5 hp 3-phase motor creates a very high amount of pressure to give extra “pulling power” for dust generated by the CNC cutting tools while operating at a low noise level of 72db. 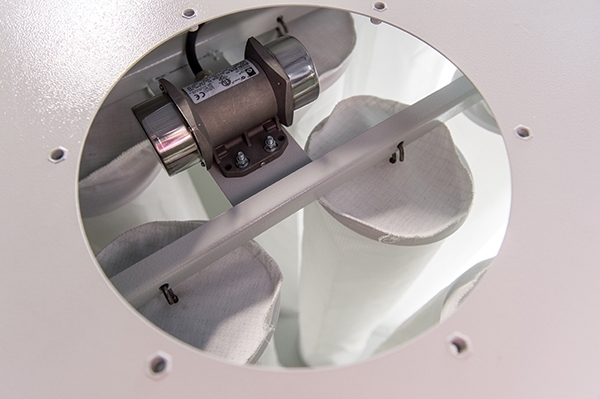 There are 18 stainless-steel reinforced polyester dust sleeves providing 108 square feet of filtering surface area, allowing very efficient movement of air. 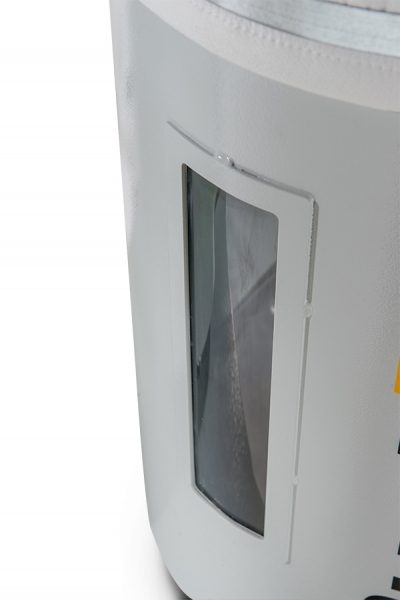 There is also a built-in electric shaker to clean the bags which activates each time the main power to the collector is turned off. The collector has special electrics to allow being wired in directly with your CNC to turn on and off with the CNC power. There are two 40-gallon steel “collector bins” on wheels with easy-to-dump handles and a window to know when dumping is needed. 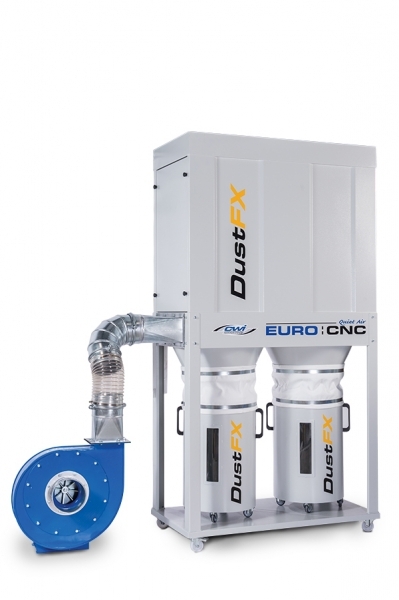 The QueitAir Euro: CNC dust collection system is truly unique in its design to provide superior performance with any CNC or edgebander application.